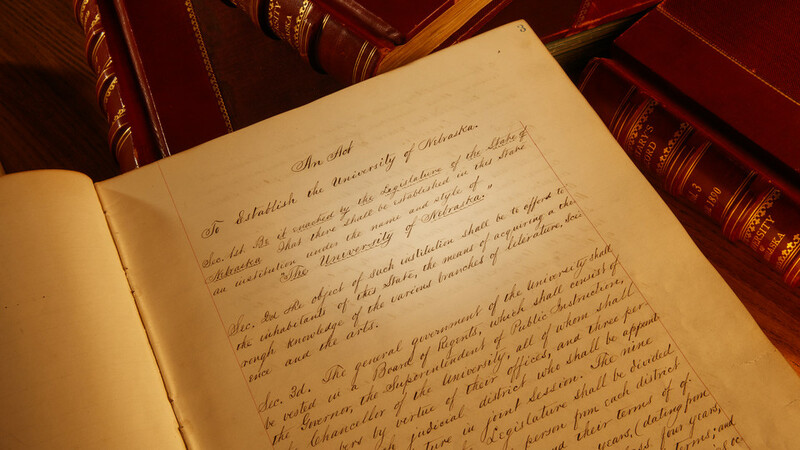 The University of Nebraska–Lincoln’s weeklong, statewide celebration of its 150th anniversary opens today with a student-led conversation with U.S. Senator Ben Sasse. The Charter Week event, “Why Don’t We Get Along? How Huskers Can Change the Future: A Student-led Conversation with Sen. Ben Sasse,” is 5:30 p.m., Feb. 11 at the Coliseum. The presentation is primarily for students. Tickets are reserved for students, faculty and staff, and are available at the welcome desks in the Nebraska Unions on City and East campuses. A valid NCard is needed to receive a ticket and for admission into the talk. The event will feature a panel discussion in which three Huskers — Hunter Traynor, senior political science major; Grace Chambers, junior sociology major; and Kamryn Sannicks, a junior political science major and member of the Nebraska National Guard and UNL’s Army ROTC program — will talk face-to-face with Sasse. The panel will be facilitated by Patrice McMahon, director and chair of the University Honors program. 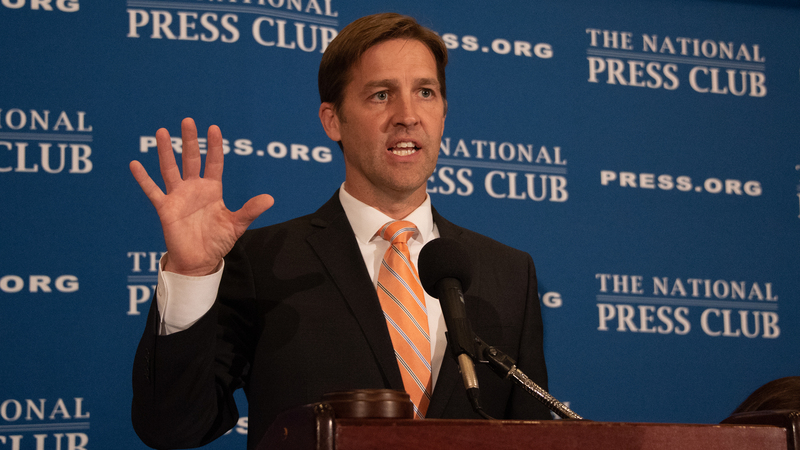 Sasse will also participate in a question and answer session with students attending the event. Opening and closing remarks will be made by Chancellor Ronnie Green. Refreshments and pizza will be provided. 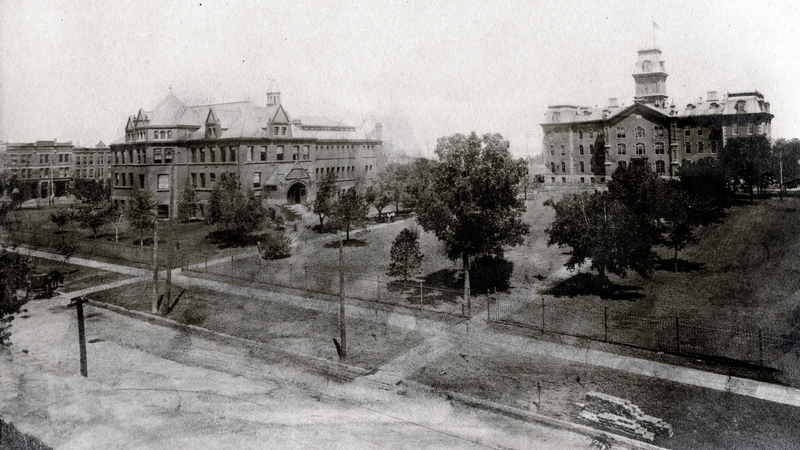 Looking north from R Street, this undated photo shows two of the earliest buildings on the University of Nebraska's original four-block campus — Architecture Hall (at left), which was originally a library, and University Hall (right). University Hall, the first building on campus, was demolished in 1948. Architecture Hall, built in 1892, is the oldest structure on campus. Feb. 14, all day: Glow Big Red. Huskers across Nebraska and around the world are encouraged to show their support for university by lighting, flying and wearing red — or giving some green.